A bill that proposes six months' maternity leave for all working women has been passed by the Rajya Sabha today, the second last day of the monsoon session. Tracking it closely was Maneka Gandhi, minister for women's welfare, who says it is the result of two years of hard work. The amendments to Maternity Benefits Act has been drafted by Mrs Gandhi's Ministry for Women and Child Development, but her colleague labour minister Bandaru Dattatreya introduced the bill in the upper house. "All through the two years while we've been pushing for this, pregnant women have mailed me asking, `Is it through yet?" the minister said. They had asked for seven months' maternity leave, but the government settled on making it compulsory for all offices in the public and private sector to give six months. This, the minister hopes, will go a long way in fixing the problem of a shrinking woman workforce. Mrs Gandhi said it would affect about 70 per cent of the woman workforce. "You may ask if it will dissuade companies from hiring more women but I don't think so. I think women know how to multitask,'' she said. The bill was to have been introduced in the Lok Sabha on Tuesday, but then there was what government sources described as a "scheduling goof-up". With only three days of the session left, they then decided to bring it first in the Rajya Sabha, since a bill introduced in that house does not lapse with the end of a session. It was slotted for Wednesday in the Rajya Sabha, which then decided to put aside all work to debate the crisis in Kashmir. Many see the delay as symptomatic of how women's issues are prioritised. 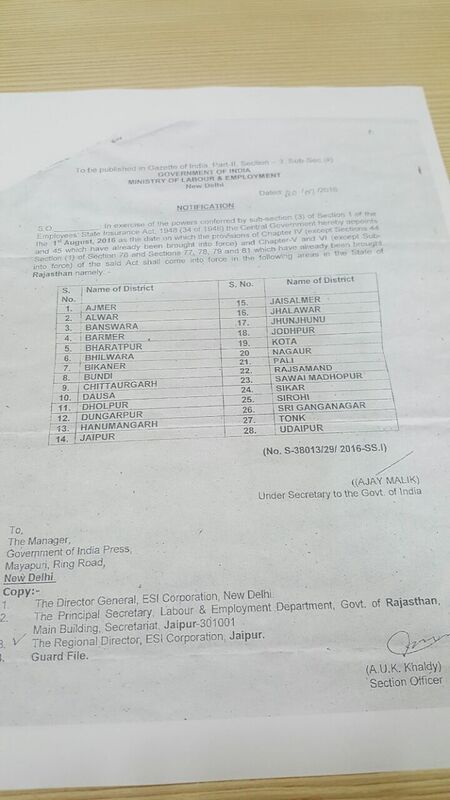 31 of the 244 members in the Rajya Sabha are women. The 543 seat Lok Sabha has 61 women. 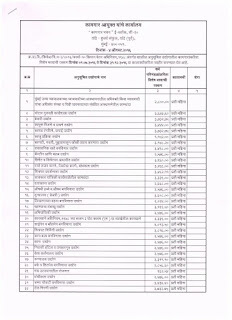 Section 17 of the EPF & MP Act stipulates that the Appropriate Government may, by Notification in Official Gazette and subject to such conditions as may be specified in the Notification exempt whether prospectively or retrospectively from the operation of all or any provisions of the any Scheme under the Act. 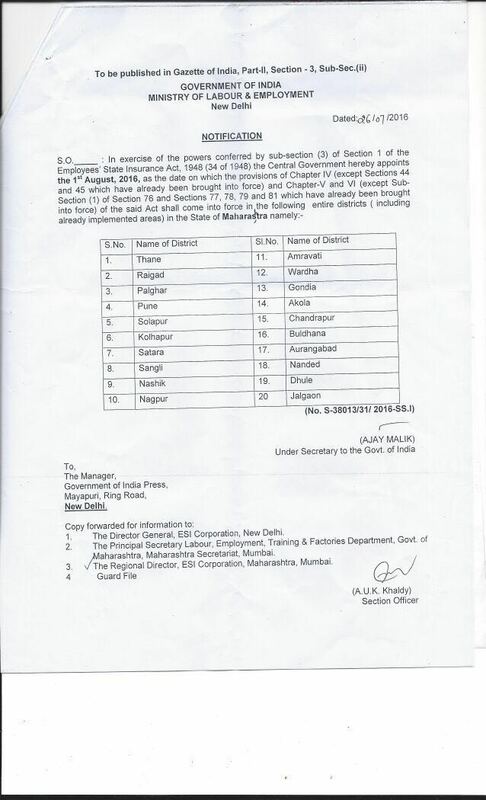 The conditions for grant of exemption under Section 17 of the Act have been notified under Notification No. GSR 853(E) dated 29.10.2003 and the revised Guidelines have come into force w.e.f. 10.10.2003. The contribution to the Exempted PF Trust would get exemption from Income Tax provided the Trust is recognised/approved by the Income Tax Authorities. The Regional Provident Fund Commissioners have been insisting on the Employers to submit the recognition/approval of the Trust by the Income Tax Authorities along with the Application for Exemption. 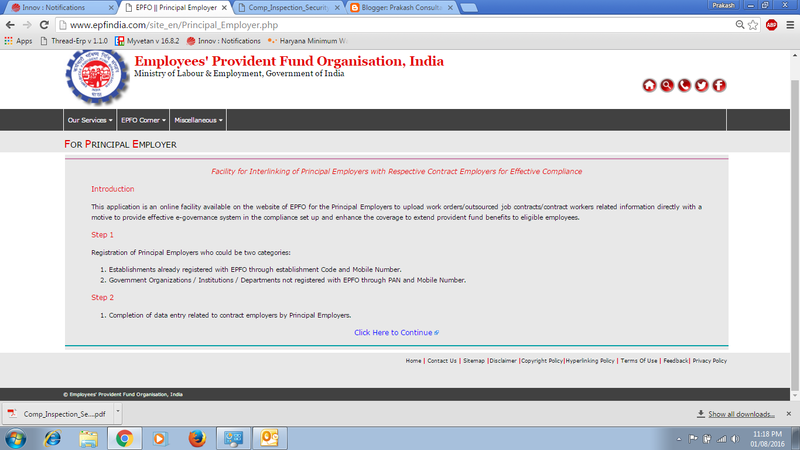 The Employees’ Provident Fund Organisation have re-examined the issues and clarified that the Field Functionaries of the Department will not ask the Establishment seeking grant of exemption from the operation of the EPF Scheme, 1952 to furnish copy of Income Tax Recognition Order as an ‘Essential Document’ to be submitted with the proposal for grant of Exemption. However, immediately after grant of exemption by the Appropriate Government, the Establishment should get recognition from the Income Tax Authorities for its Trust. Social Security Agreement (SSA) between India and Japan was signed in Tokyo on November 16, 2012. The Ministry of External Affairs (Investment, Technology Promotion and Energy Security Division), the competent authority for negotiating and concluding SSAs along with the Employee’s Provident Fund Organization (EPFO) has completed the formalities for the Agreement to enter into force. The Implementing Arrangement under the SSA and the Administrative Arrangement for implementation of the agreement between the two countries were exchanged on 9th June 2016. Earlier today the two sides have exchanged Note Verbales in accordance with Article 28 of the Agreement notifying the completion of the respective constitutional and legal procedures required for the entry into force of the Agreement. The Article 28 also mentions that the Agreement shall enter into force on the first day of the fourth month following the date of receipt of last notification. As on date, India has signed and operationalized similar comprehensive Social Security Agreements (SSAs) with 15 countries. They are Belgium, Canada, Czech Republic, Denmark, Finland, France, Hungary, Luxembourg, Netherlands, Norway, Sweden, Switzerland, South Korea, Austria, and Australia. We have also signed a comprehensive SSA with Portugal, which is in the process of getting operationalized. In addition, we have a partial SSA with Germany, which is already operationalized. The comprehensive SSA between India and Japan when operational from 1st October 2016 will favourably impact the profitability and competitive position of Indian and Japanese companies with foreign operations in either country by reducing their cost of doing business abroad. Thousands of Indian and Japanese workers who are working in Japan and India respectively will benefit from the agreement. The SSA will also help more Japanese companies to consider India as a destination for their manufacturing investments. 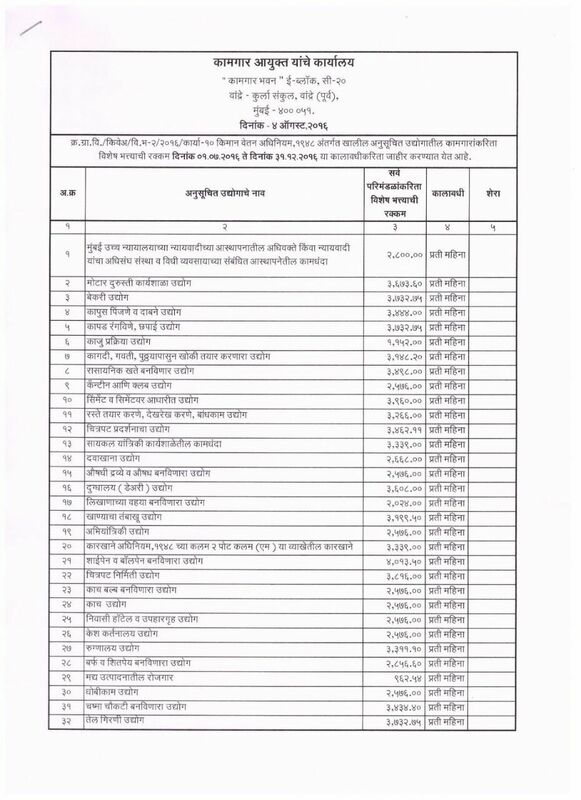 Enclosed is the Maharashtra Minimum Wages 1st July 2016 to 31st Dec 2016 , In the said Minimum wages revision Pls add 5% HRA( As per Maharashtra Minimum HRA Act 1983) if no of employee count is 50. Pls refer to the said attach if anything have been missed out or any correction is to be done pls suggest me.